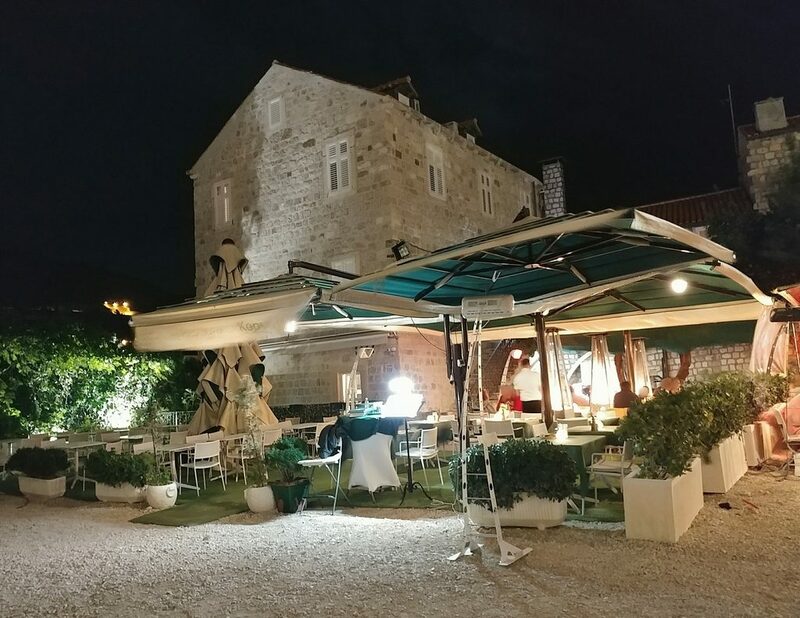 We went to Restaurant Kopun after Dubrovnik had disappointed us with meals up to that point (at Barba and Konoba Lanterna). 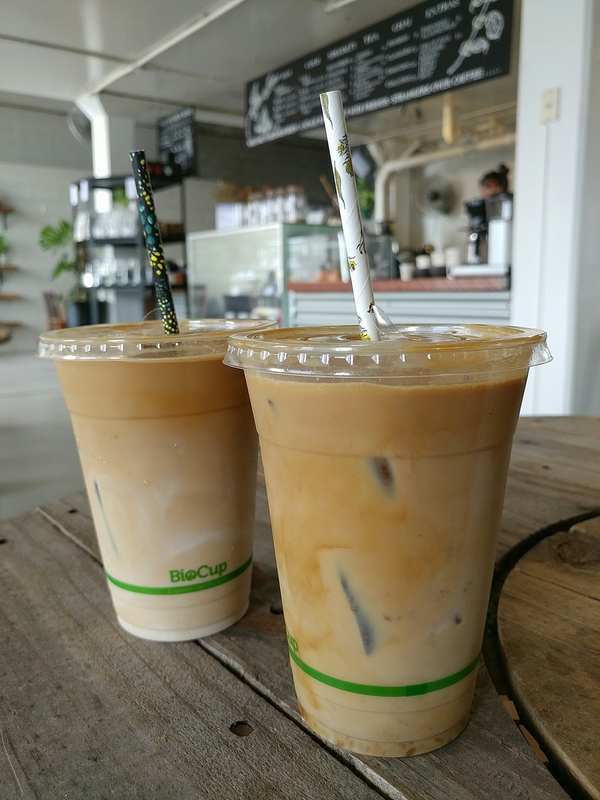 Google reviews had led us astray with the previous places, but we held out hope that there must be some eateries in this town that weren’t tourist traps.. The outside area of Restaurant Kopun, with green umbrellas. The ground was astroturfed, and the white chairs and green and white tablecloths draped over the tables added to the garden party feel. Chair pads on the seats made them more comfortable, and they had standing heaters to ward off the cold of the chilly night. Polar fleece blankets in tartan patterns were slung over the backs of chairs in case patrons needed extra warmth. There was a mushroom-shaped LED light at each table, giving off cool white light, just enough to be able to read the menu by. There was no background music, just the murmur of other patron voices, attenuated by the open space. 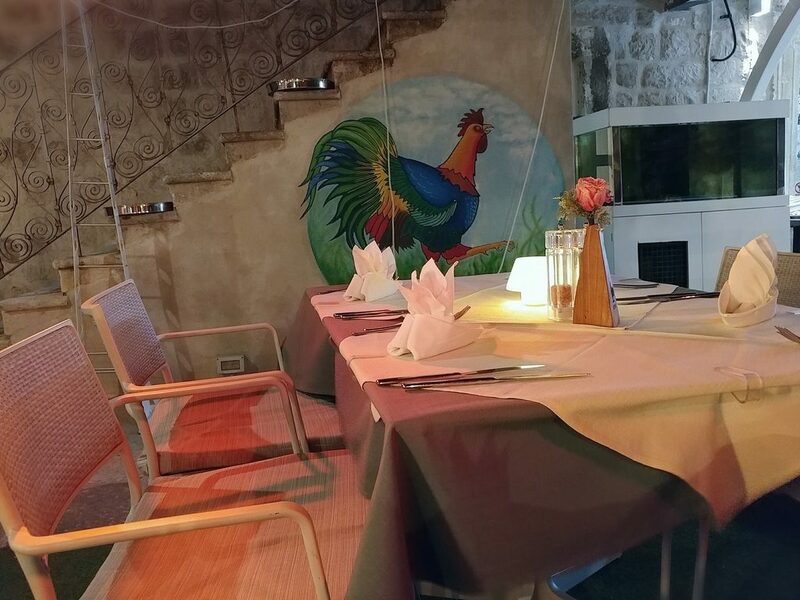 Some of the set tables, and a mural of a rooster by the stairs. The menu, bound in a black hard cover, had a logo of a rooster on the front, and the next page inside explained the origin of the name of the restaurant. “Kopun” is “Capon” in Croatian, or a rooster that has been castrated before it reaches maturity, resulting in more tender and tasty meat. 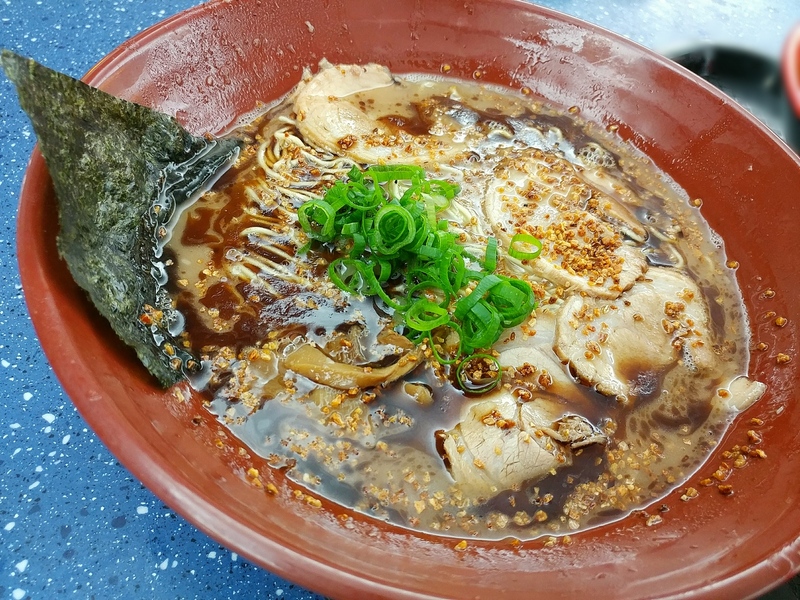 The writing in the menu explains that the capon represents a traditional secret of homemade cooking, and that the restaurant aims to bring capon and other traditional recipes back to diners. The menu, with kopun, or capon, on the front. 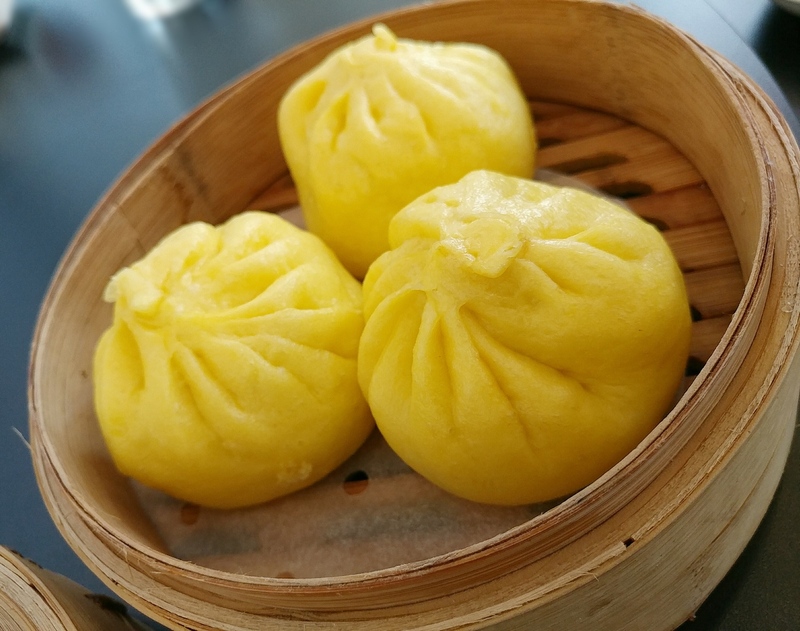 The menu had dishes listed and described in different languages on separate pages, to cater for customers coming from different linguistic backgrounds. 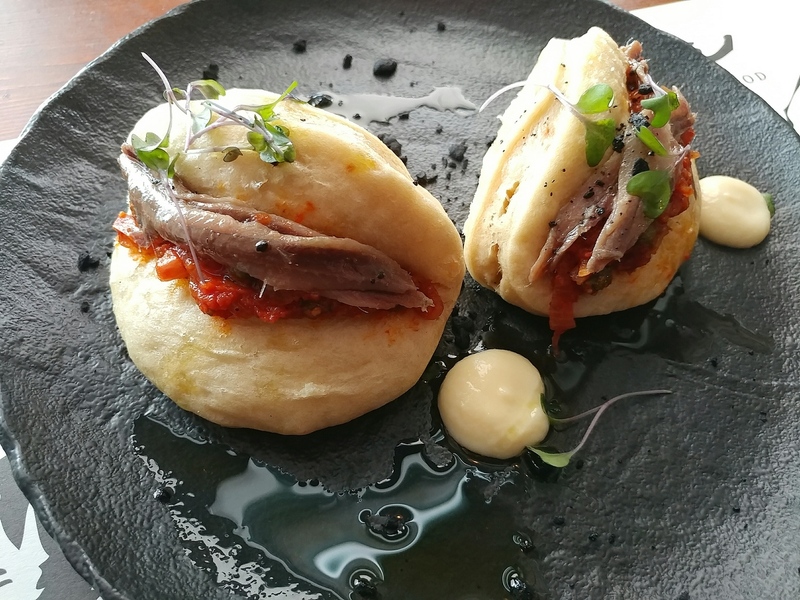 We were tempted by a few of the entree items, but as we were deciding what to order, we were helpfully warned by the waiter that the entrees were not small, so we eventually had to whittle it down to just one. Given what the blurb in the menu had said, we had to have the Capon ragout entree. 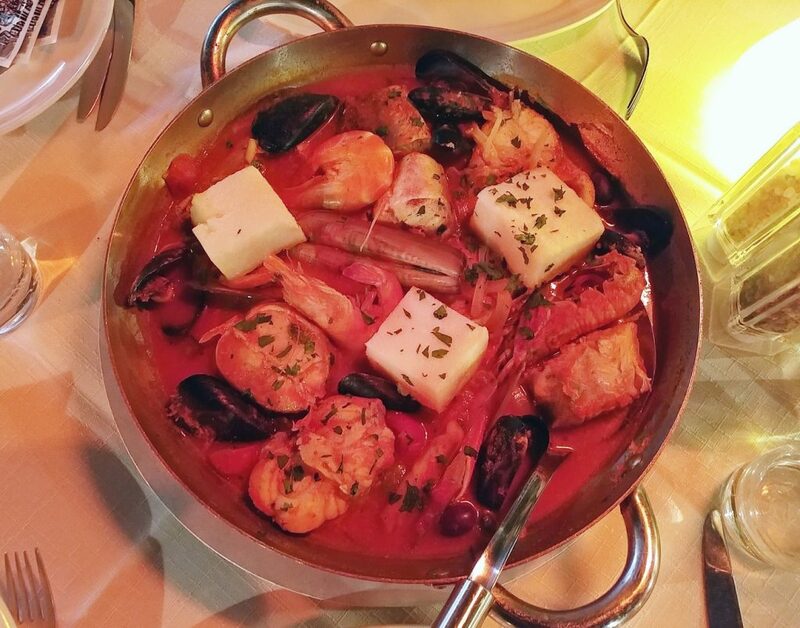 Pictures of the brodet (a traditional Dalmatian seafood stew) had helped steer our decision to eat at Restaurant Kopun, so we had to order that for the main. 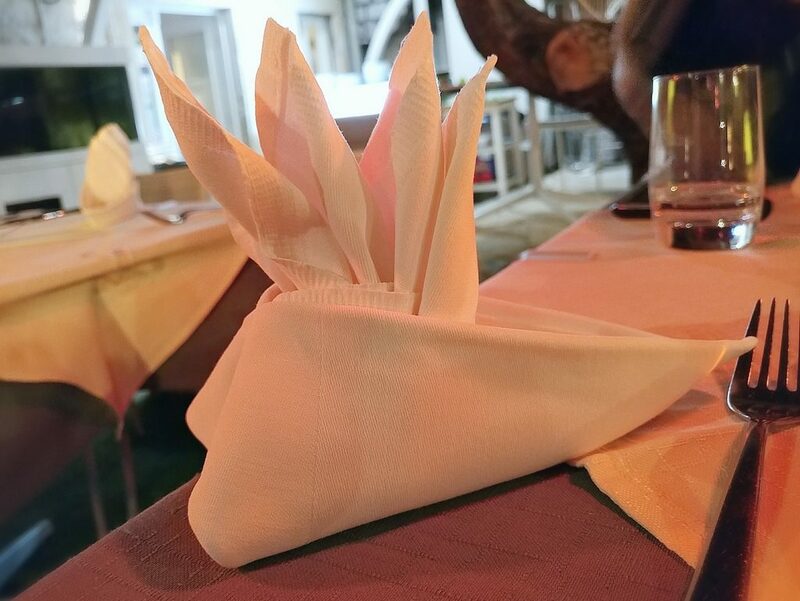 One of the napkins on the table, folded into the shape of a rooster’s comb? The entree dish was Capon ragout with black truffles (even more cause to order it). 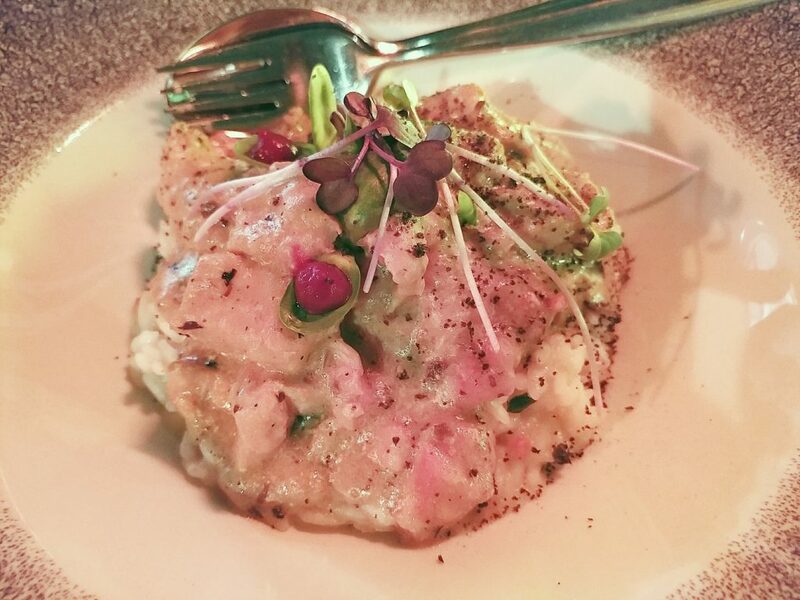 It was served as a mound of risotto on a plate, with grated black truffle scattered over it. 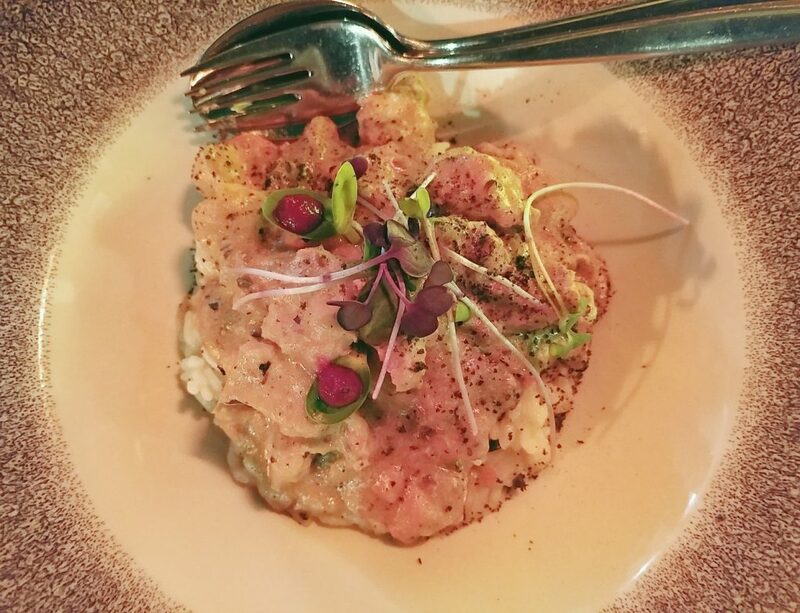 The risotto rice was al dente and creamy. There were plenty of chunks of the tender capon meat through it, and in fact, there was more meat than rice. It was well-seasoned and tasty. 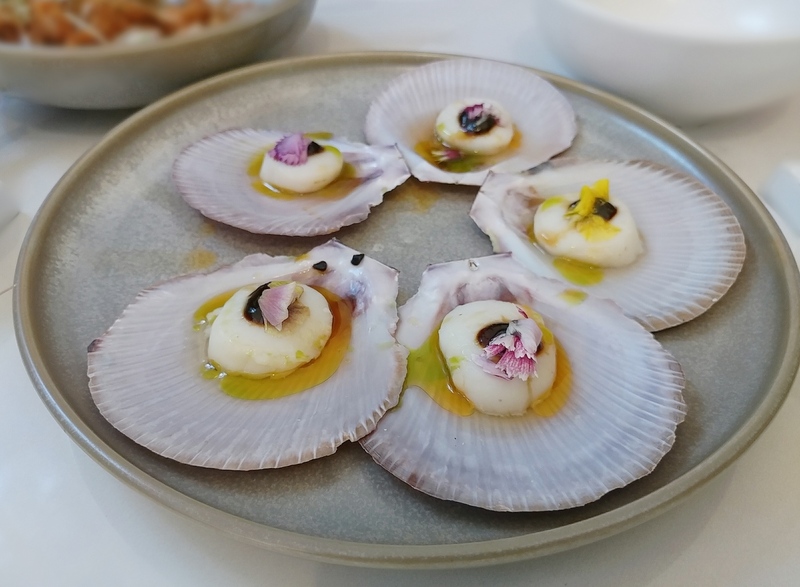 The truffle notes came through in the aftertaste, complimenting the other flavours of the dish. The Capon ragout, with black truffles. A closer look at the Capon ragout, with lots of capon. 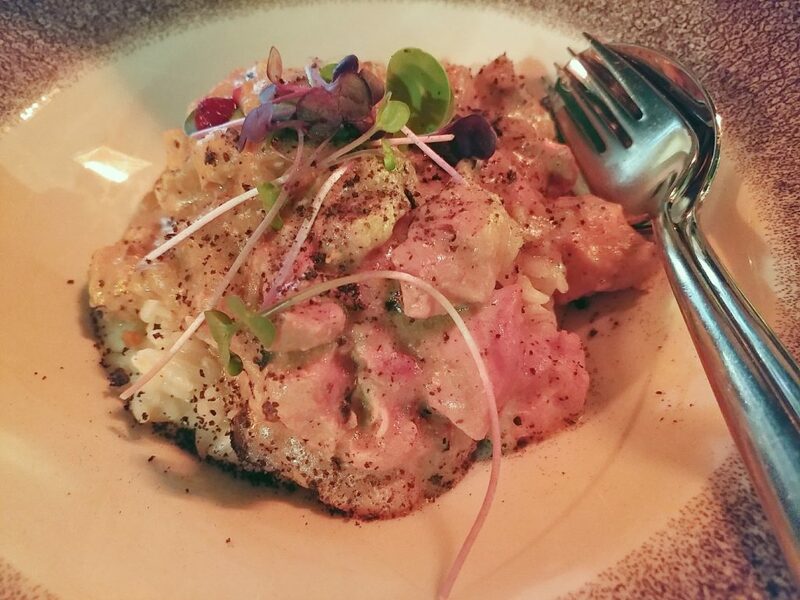 The Brodet, listed as Royal Seafood Stew, could be ordered as a dish for one or two people. We had the two person sized dish, and it was impressively sized when brought out. It was served in a large handled pan, the table just managing to accommodate it and our own individual plates. Unlike the underwhelming version of brodet we had had somewhere else the previous day, which essentially consisted of a couple of pieces of fish, and mostly tomato and onion, this had plenty of seafood. 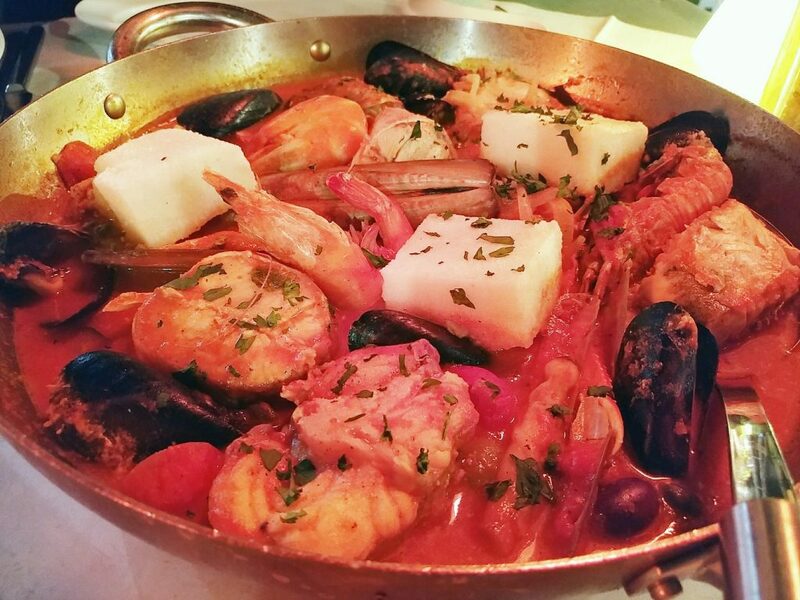 Fish, prawns, razor clams, crayfish, and mussels were bathed in the tomatoey sauce that also had a bit off spice kick. Olives, capers, and cooked down tomatoes gave the stew more flavour. There were also cubes of white polenta in it to give it more bulk. 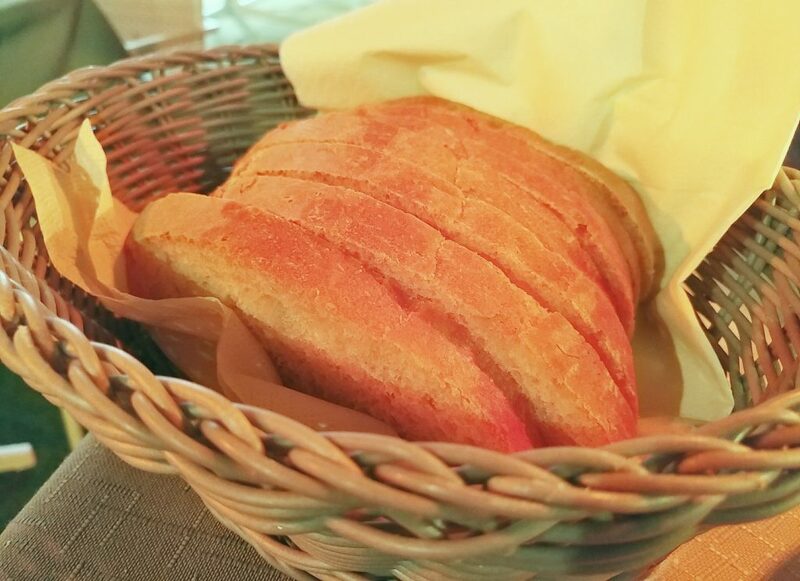 We did order some house bread to have with the stew as well. The fish was done in large, rustic-sized pieces, and though there were bones, they were easy enough to pick out. The prawns had been brined, so that they were tender and savoury. It was certainly a hearty, delicious dish. 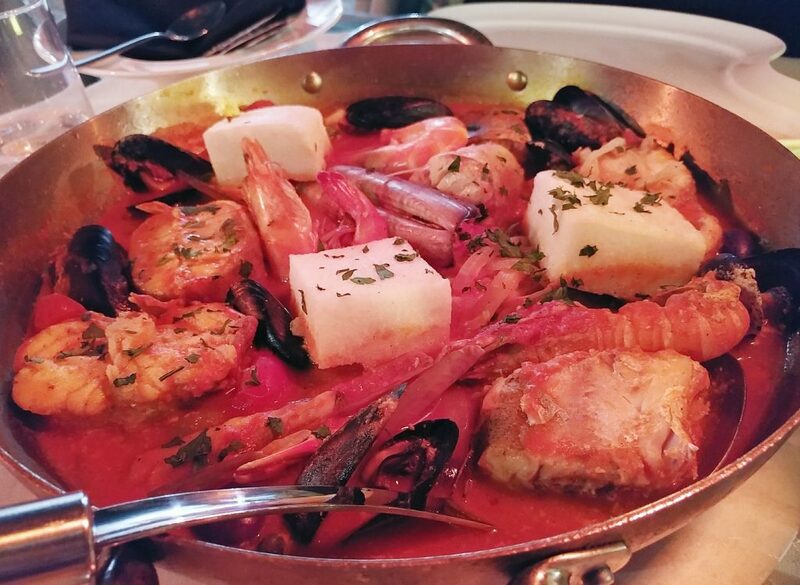 The Brodet, or Royal seafood stew, with plenty of seafood. A closer look at the Brodet, with fish, prawns, mussels, crayfish, and white polenta. Filling as the entree and main were, we couldn’t resist checking the dessert menu. (What meal is complete without dessert?) 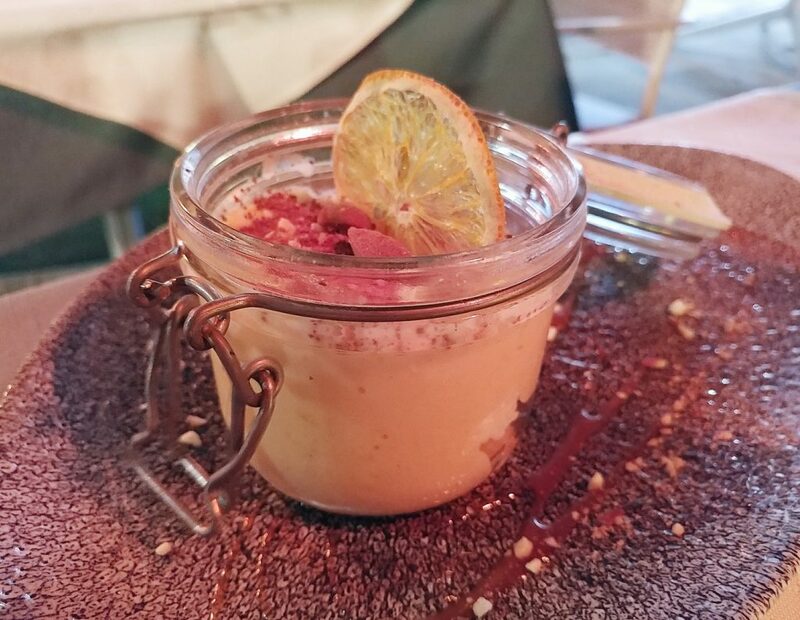 There were a number of quite rich options on the list, like a Dark chocolate fondant and an Almond semifreddo, but we decided to try something a bit different and ordered the Paradizot. 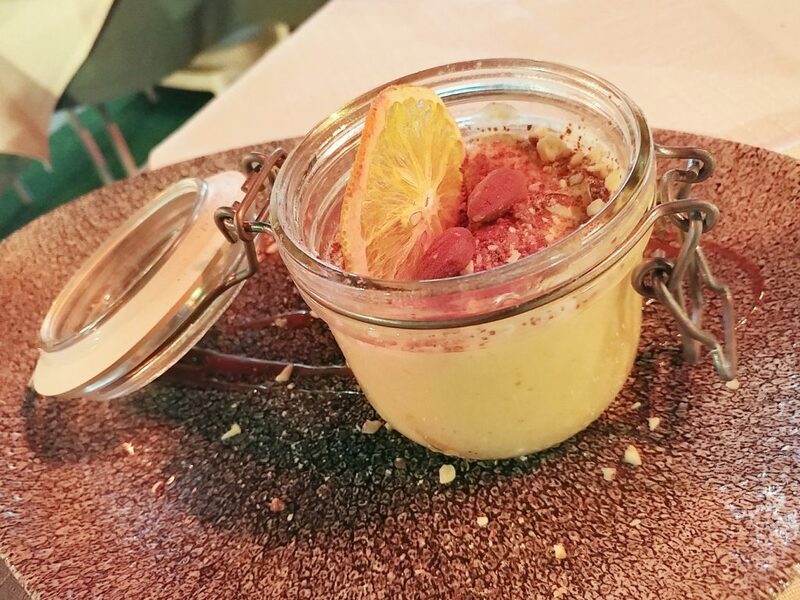 This was described as a traditional dessert made with custard, egg whites, lady finger biscuits, and orange zest. 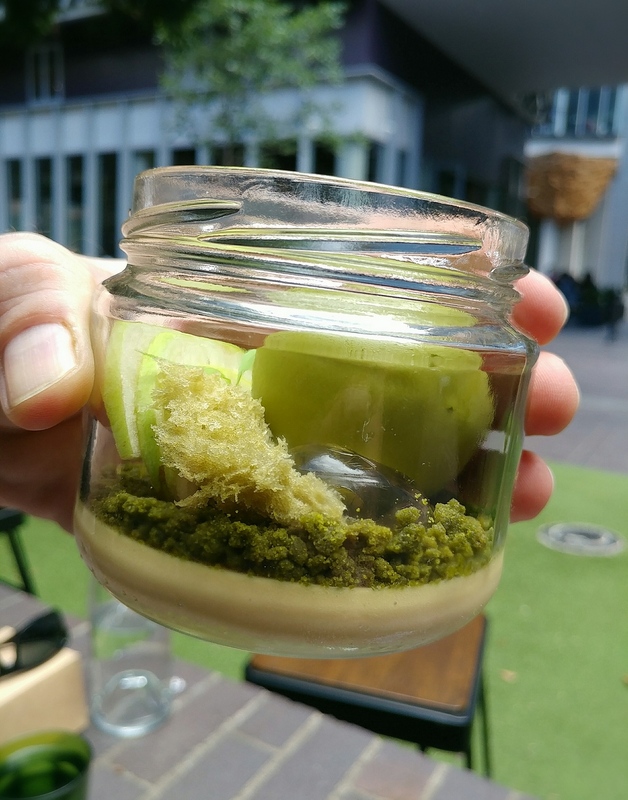 It was served in a chilled glass pot, and reminded us very much of a tiramisu. It had similar textures, but different flavours. The custard was smooth, creamy, and distinctly cistrussy. The lady finger biscuits were softened, but didn’t have coffee earthiness. Chopped nuts sprinkled over the top gave it a little crunch. The dehydrated orange slice wedged on top looked pretty and had a good snap, but was probably more for appearance than eating, being quite bitter. 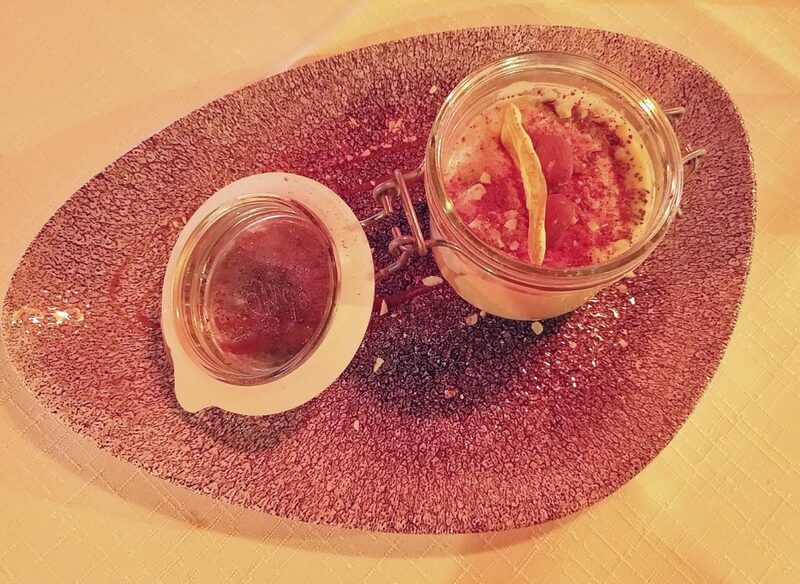 On the whole, it was a good finish to the meal though, the citrus flavours keeping it from being too heavy. The Paradizot, with custard, egg white, lady finger biscuits, and orange zest. Another look at the dessert. 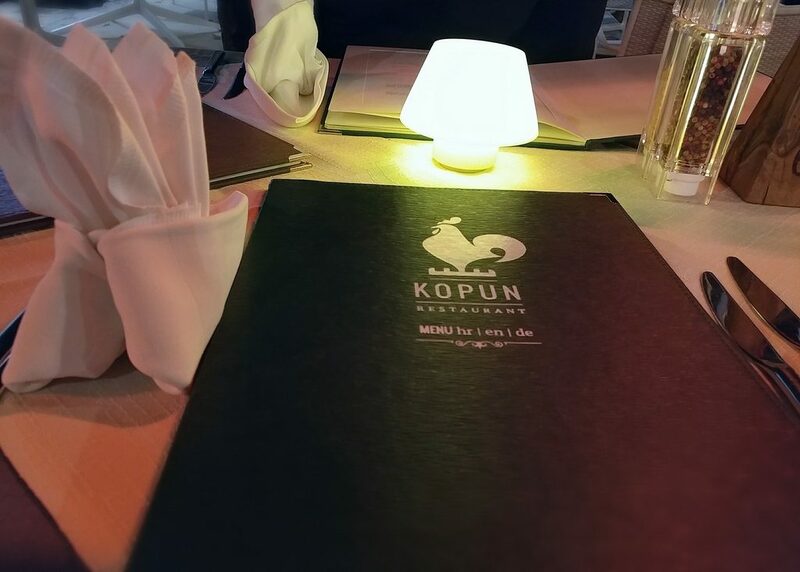 We enjoyed our meal at Restaurant Kopun, and felt well looked-after by the waitstaff. The food was tasty, and the servings were generous. It wasn’t exactly cheap, but no meals in Dubrovnik are, and at the least, this was well worth the money spent. We would certainly recommend eating here. As we found out much later, this is a Michelin Plate restaurant, so other people who like food think so too (see here for the difference between a Michelin Plate and a Michelin Star). Also, we have more tips for travelling Croatia here. Price point: Brodet for two 399 HRK (about $85 AUD). Dessert 39 to 59 HRK (about $8 to $12 AUD).